We all enjoy a good fair, one with a lot of interesting and well made products for sale. Some may be art, some may be usable things to wear or use. I love going to those kinds of markets because the ideas are amazing, the artists work enviable, and there’s always a sense of fun and theater……it’s a place to have a good time. Time to mark your calendar: Friday April 26 and Saturday April 27 will be the dates of the inaugural event. A star studded event with amazing things to brighten your life. I am fortunate that my life has artists in it. Creative people who have skills with paint or fabric or beads or you name it, skills that are beyond my ken but boy oh boy can I appreciate the time and effort. Now, you can too. Over forty artists and creative people will be inside the Linfield Nicholson Library from 10-4 both days. Fabric artists who use worn out discarded cloth. Metal artists who grab up the discarded bolts and screws and other small pieces of hardware. Jewelers who use a variety of materials including stones, shells, metal, cloth, and more to provide bling in our lives. You will find some people who work with wood-pieces found in the woods or on the scrap pile in a wood using industry. Could you personally make some of these things? Possibly….but you know your ability and you know your life demands……will you? Probably not……so enjoy this event and take something special home! 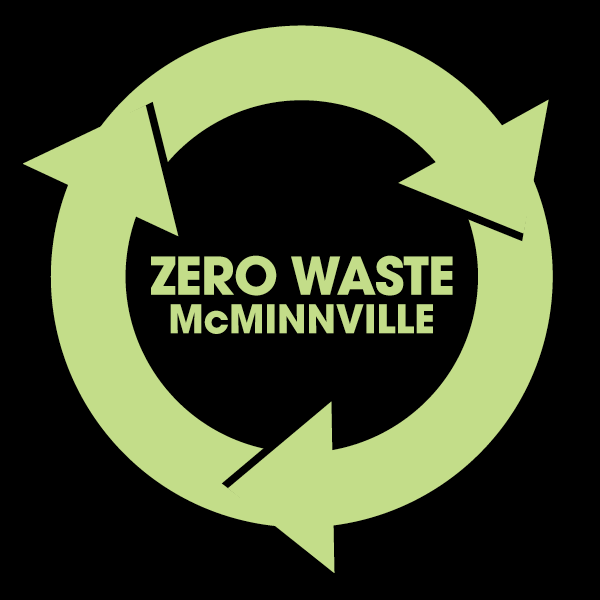 I’m excited because I’m been on the planning committee for the past four months and I can see where all our effort is leading: to a new annual McMinnville event that will become a regional favorite. We tried to tie the arts festival to Earth Day, but it falls on Easter Sunday this year and no matter how much you may or may not be a church goer, we postponed it one week so there are no conflicts for anyone. Earth Day really is not just one day of the year. The celebration reminds you to be a good steward all the time. Coming to the Recycled Arts Festival will be an excellent way to show your recognition of how to keep the earth healthy. The committee made an early effort to review posts on Facebook, Etsy, Instagram and other social media platforms to identify artists and artisans who carefully use discards from other people to fashion their products. Now it is time to invite them as well as an open call to others who missed. Please continue reading to understand the requirements and get those applications sent in!! For the rest of you, see you on the 26th and 27th of April!!! We are happy you decided to apply to join our festival. This is the inaugural event and we have put a lot of effort into planning it as carefully as possible because we want to see this succeed and become as appreciated as other similar events in the region. We ask that you read this thoroughly, ask us any questions, but above all, understand that the success of this event also depends on you. We need your cooperation, so read on and let us know if you are willing to fully participate. While the name of the event is the Recycled Arts Festival, in reality the items that comprise at least 65% of your items must be used items or cast-off trash, typically on its eventual way to the landfill. We call what you do upcycling or repurposing. If your art uses natural items, without your use, those items would have naturally decayed. All items must be handmade. There will be no MLM marketing nor resales of other makers’ work. You may share a table or booth space but each vendor must apply and be juried in. Both applications must have a note with the request to share and the name of the other vendor. Send at last 5 electronic photos that clearly show your work and its quality. Not only will these photos be used to jury you into the festival, but they will be used in festival marketing. You already agreed to permit use of these materials for marketing purposes when you submitted them with your jury application. Once you have been contacted that your work is acceptable to the jury, send your fee via Paypal to reserve a table. No table space is reserved without payment. If funds are not received by March 21, it will be assumed that you are no longer available to attend the event and another vendor will be offered your space. Use only sustainable items to package your sales. Provide your story to the public – why do you use the materials you use? You can use a poster or brochure or be ready to talk a lot. Your application should have some indication of your philosophy which we will use in marketing materials for the event. You must must must help with marketing. We ask that you not only add to the Festival webpage and Facebook pages but also on your own Facebook page and website. We ask that you email out the poster we will share with you to your friends and family. We would like you to be personally responsible for at least 10 people through that door. And if anyone has a connection to a news outlet, let us know. Your ability to request a certain space will depend on the timeliness of your application. We are offering a 10% discount in the booth fee for the first ten vendors who complete their registration. We are closing the application process on March 1st with notification to all vendors about acceptance by March 15th. If you apply after all spaces have been reserved, do you want to be put on a waiting list in case we get cancellations? We have 22 spots that are 10×10. Since the event is inside the library we ask you do not use a canopy unless it is mandatory for your display. We request the awning be removed or white in color to help keep the ambiance of open and airy in the space. SOME of these booth spaces will have electricity available. Let us know if it is needed. We have 12 spots that are 5×6 tables set up for studying. There are several lights in place on those tables that cannot be moved so you will need to position your things around them, but you also benefit with the added lighting. There are electrical outlets on these tables. We have 6 spots that are 5×8 tables set up for studying, Also, there are lights in place that cannot be moved, and electrical outlets available. There are 4 spaces that are on top of the newspaper racks. They are 48 inches high. These are 5×6 and have no power and no seating. You will need to bring a stool or stand. We know life happens and sometimes the best plans don’t work out. Cancellations before April 1st will be refunded minus the initial $10 jury fee. If you cancel after April 1st you will not get a refund (minus the initial $10 jury fee) unless we are able to fill your space with another vendor. Your refund will be made after the festival dates. Adult vendors are age 18 and up. We are offering a small amount of display space for youths under 18. In addition, we will make a few tables available on Saturday only as there are minors with growing art skills. It is also mandatory that all minors are accompanied by a parent and attend the entire time the festival is open. That includes set up prior to the 10am start and clean up after the 4pm public close. The jury fee is not refundable. Set up begins at 8am on Friday. All vendors must be ready when the public can enter at 10am. We are hoping to have some volunteers to help with your set-up if needed, but please have all the wheeled carts you typically use to haul your items from the parking lot, which is adjacent to the library. We will require you to move to the rear of the lot away from the front door after you off-load in order to allow easy access for the shoppers. Artist is responsible to supply all 10×10 booth equipment; displays, additional lighting, special tables, cloths, chairs, etc. Booths must be self-contained. We cannot use existing walls for display or support of exhibition. Artists who opt for table space should not bring any other table. Chairs are available. No flashing flights are permitted. We urge everyone to be respectful of the library space and want to minimize our potential impact on the setting, including the floor, the furniture and of course the books. Please be very careful when eating in your booth space. Make sure all drinking containers have lids to minimize splash or spills. We will contact you a week before the festival to see if you want to pre-order lunch. Third Street Pizza will deliver food. We will limit the menu to one or two kinds of pizza and a salad. You may bring your own lunch if you want. There is some food close by off-campus but that will require you to lose at least 30 minutes. If you bring items to the event for sale that do not quality as at least 65% repurposed/upcycled/recycled you will be asked to remove those items from the sale. If you have any issues or concerns during the event come to the Festival Information Table which will be in the center of the room near the newspaper stacks. You can leave your display as is when the festival ends at 4pm Friday. The building will be closing and will not reopen until Saturday morning. Please be in place at your booth by 8:30 on Saturday. Remember to park your cars at the back of the parking lot. No packing up before Saturday 4pm. We must be out of the library by 5pm but there should be no problem with that. Again, we hope to have some volunteers to help you. After the festival we will email you the evaluation form. This will include areas where we need to improve for the next year, things we did right, and an indication of your income so next year we can inform potential vendors how we did this year. This will be unidentified and typically in a range (i.e. vendors earned between $250-$1200, with an average of $500.) People who do not submit a completed evaluation form will not be permitted in subsequent events.